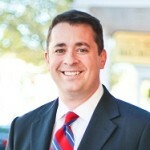 Attorney Jim Fletcher’s office is in Marietta, but he practices throughout the State of Georgia. He is experienced in permanently resolving title defects, in rendering tax deed titles marketable, and clearing liens. Quieting title does not have to be expensive, time consuming, or frustrating. Jim’s process is cost effective, fast, and the customer service is second-to-none. Cherokee County, Gwinnett County, Fulton County, Coweta County, Cobb County, Hall County, Clayton County, Douglas County, Dekalb County, Forsyth County, Fayette County, Paulding County, Rockdale County, and Henry County. Jim helps clients quiet title to property based upon tax deeds, adverse possession, lien foreclosure, title disputes, survey problems, and otherwise. Jim has been practicing in real estate litigation since 2007, and previously served as a senior associate and two well-respected Atlanta law firms, before co-founding his own firm. He has argued cases across the State of Georgia trial courts, in the Federal District Courts for the Northern, Middle, and Southern Districts of Georgia, in the Eleventh Circuit Court of Appeals, in the Georgia Court of Appeals, and in the Georgia Supreme Court. For multiple consecutive years, Jim has been named as a “Rising Star” by Superlawyers, as featured in Atlanta Magazine. In Cobb County, Georgia, Jim is available to be a Special Master for quiet title proceedings. Contact Jim today at (404) 409-5665 to discuss your case! Notice: No attorney or law firm is giving you legal advice through this website, and this website does not create an attorney-client relationship. Not applicable law is on this site. Only selected law, which may or may not be current, valid, enforceable, applicable, correct, complete, or relevant, is included herein. Depending on your circumstance, laws not included herein may apply. Information on this site may become outdated, may be incomplete, and may not apply to your situation. Please consult an attorney.